Children love music. Even before they're born babies can hear and appreciate melodies. 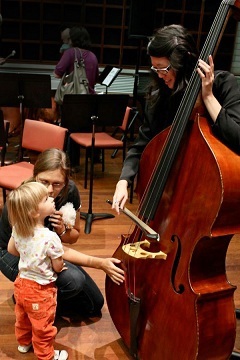 Many parents feel that listening to classical music may even give their child an educational advantage. Whether or not this is true, the fact is that children enjoy music and are fascinated by instruments. 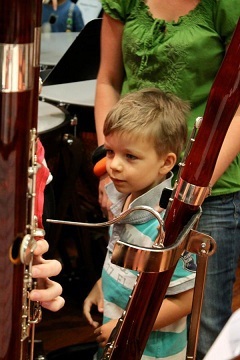 The popular Babies Proms concerts offer the perfect opportunity for children aged 2 - 10 to discover live music played by the Western Australian Youth Orchestra. The term "proms" is a shortened version of promenade concert. These informal events, originally held outdoors, became very popular in England in the late 1890's, especially among people who might not normally attend classical concerts. They featured low ticket prices and a relaxed atmosphere where the audience could stroll around, eat and drink. 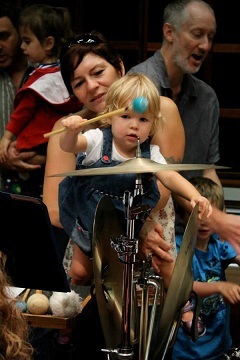 Proms continue to be popular today and the informal tradition is expanded in the Babies Proms where children can learn about the instruments and even join the orchestra on stage. The Western Australian Youth Orchestras Association (Inc.) is a non-profit association dedicated to musical excellence. With eight different ensembles they offer a diverse range of performances every year. At the Babies Proms the Philharmonic, a full 70-piece symphony orchestra, will offer a unique opportunity for children to experience and enjoy live music. There are six Babies Proms in all, however they do sell out and bookings are recommended. For bookings and information contact WA Youth Orchestras on 9328 9859 during business hours.